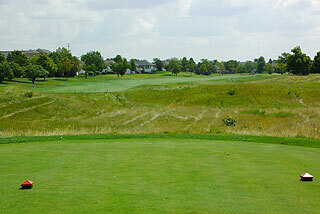 Whisper Creek Golf Course, located in Huntley, Illinois, is a beautiful 7103 yard championship design. This is a fair test for players of any skill levels, from beginners to scratch golfers. Meticulously and consistently well maintained and manicured, the course plays like the best of the private country clubs in the area. 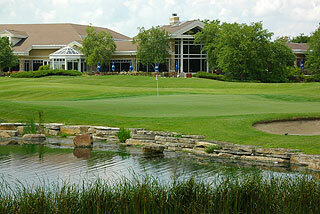 This course comes highly recommend for golfers in the Chicago area, as well as those visiting from out of town. 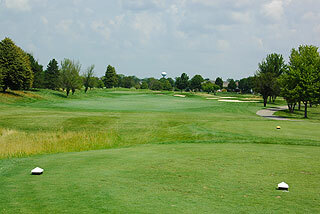 This links style track features wide landing zones along a fairly flat terrain with some hilly mounded rough areas, and large sand bunkers with wild grassy areas. It is best to stay away from the bunkers all together- the long natural grasses which surround the bunkers are actually more difficult to play through than the bunkers themselves. Most greens are well guarded by bunkering and mounding, however a bump and run approach is possible near several open front putting complexes. Four sets of tee boxes play to distances and slopes of 7103 yards and a 133 slope, 6623 yards/128 slope, 6155 yards/123 for men, 132 for women, and 5550 yards with a slope of 124 for women playing the forward tees. 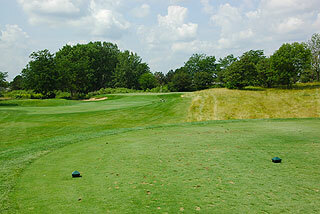 The signature holes are the 616 yard par five 8th, and the 527 yard par five 18th. The 8th runs along the side of a stream which eventually crosses, and then runs along the other side to the green. 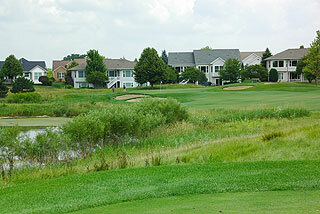 The 18th is a gorgeous golf hole featuring a lake which divides the fairway. All carts include Pro Link GPS providing accurate distance to the flag, bunkers, water hazards, and other golf carts from any position on the course. 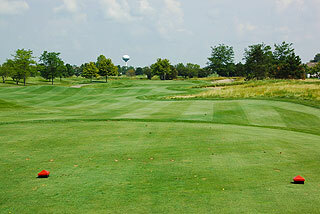 Yardage on course is marked from 100, 150, and 200 yards to the center of the green. 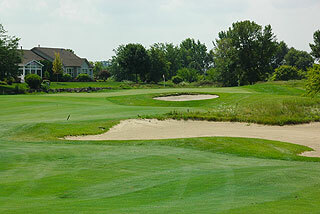 There are 65 sand bunkers situated near fairway landing zones and greenside, and eight holes feature water hazards. Clubhouse amenities include a pro shop, Jamison's restaurant serving a full lunch and dinner menu, Capers Caf�- half way house, and banquet facilities for up to 280 guests. The driving range has three tiers of grass hitting stations as well as mats to be used in poor weather conditions. 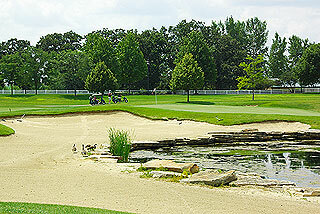 The short game area allows chipping, putting and sand practice. Great facilities and wonderful course! For more info, visit our page for Whisper Creek, with direct link to their website by clicking here.